The state VAT Department has communicated the provisional ID to every registered taxpayer. Incase you are a registered taxpayer with the state VAT Department and you have not received your provisional ID or password, contact your state VAT Department. Now, if you are a registered taxpayer with the state VAT Department you need to access the GST common portal and create your username and password using the provisional ID and password communicated to you. ARN will be issued to you in ‘Migrated’ Status. The status of provisional ID will change to ‘Active’ on the appointed date. 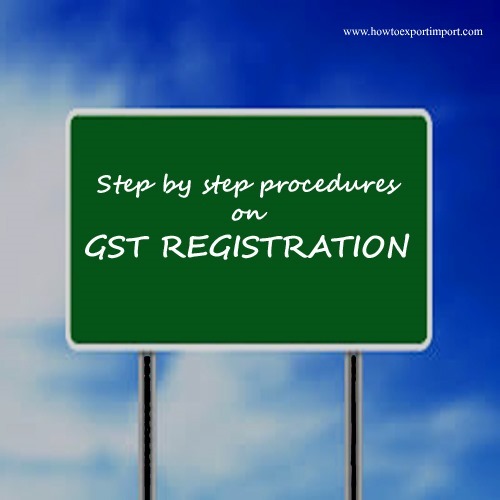 The following links explains complete step by step procedures and troubleshooting solutions to enrol GST web portal for provisional GST registration certificate. GST web portal has provided the below information making public easy to understand and user friendly for smooth handling of GST web portal enrolment under GST regime in India. These information includes guidelines on tracking application status of GST, saving uncompleted application for GST registration enrolment, linking DSC with GST system, registration of DSC, changing password of GST web portal to protect security, retrieving user name from GST web portal and other related information for existing tax payers. 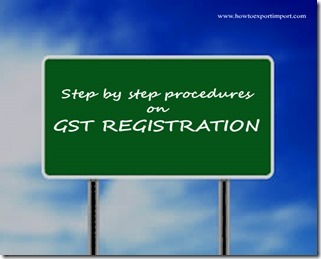 How to retrieve password under GST registration online in India? The above information provides step by step information and guidelines to login with GST common web portal for GST enrolment in India. LAXMIDHAR RAY: On 28 June 2017 Where a person is providing service and a trader then how he will be registred himself.If he is registred as a taxpayer in goods, then how he wil submit the retun of transaction of his service provideing. sandeep deo: On 30 June 2017 Dear Sir, I have submitted new registration form but how I can get the ARN No.? RAJ ENTERPRISES SALEM TAMILNADU: On 17 November 2017 Sir/Ma'am 17 11 2017 Wishes Raj Enterprises is unable to choose a product for export from one among agricultural commodities to source market trade which is is also a mystery?